My family really loves pizza. The only issue is that sometimes buying take out pizza can get expensive. So in order to feed their unending love of pizza I have discovered homemade pizza ideas that keep them happy each week and fulfill their pizza cravings. 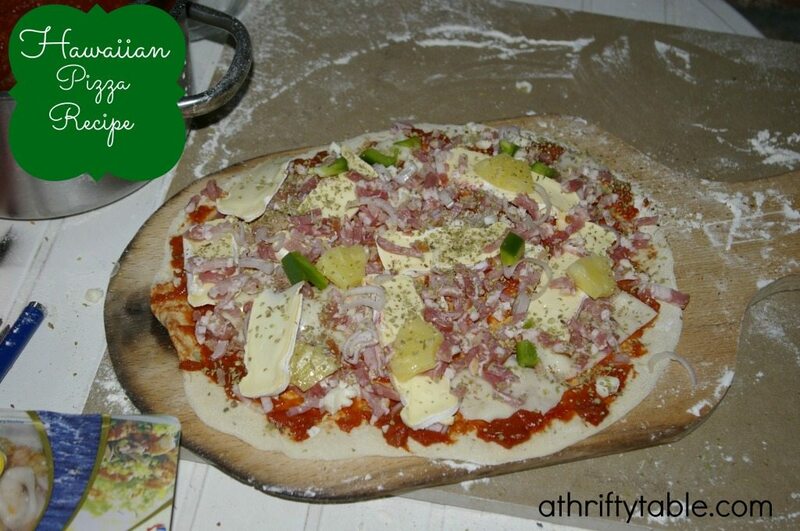 The following Hawaiian pizza recipe is one of the pizzas I feed my family. This is a unique twist on pizza and not your traditional pizza recipe. The addition of fruit to a pizza was something my kids weren't sure about at first, but once it is cooked it is a different taste all together. You may have seen this pizza on the menu at your local pizza shop, so you may have already tried it, or it may be new to you! Either way I hope you'll try it and maybe even add it to your pizza recipes list. Spread pizza sauce on the crust, use the amount that you prefer. Add diced ham, diced pineapple, optional toppings and finally the cheese, spreading everything evenly. Finally bake in a 350 degree oven until the crust is brown and the cheese is melted and bubbly. You can double this recipe for two pizzas. My family and I normally make two pizzas at a time. You will definitely want to have enough because everyone is sure to love this one.